Summary: If anyone had the right to curse His opponents, to scream invective against those torturing Him, wouldn’t it be Jesus? Guiltless, He carried the guilt of all mankind’s sin. Found innocent by Pilate, He was still sentenced to die. He was abandoned by His followers and forsaken by His Father. However, the Son fulfilled His Father’s will, suffering silently on the cross that He might then raise the victory shout at His resurrection. He chose to bless rather than to curse, to calmly and quietly carry our transgressions rather than to damn the transgressors. His silent suffering paid the cost for our joyful songs of Easter triumph. 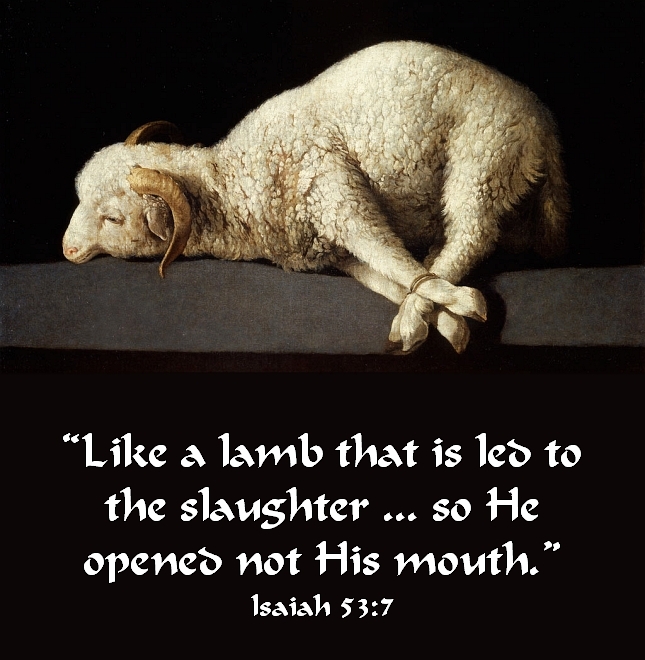 Text: He was oppressed, and he was afflicted, yet he opened not his mouth; like a lamb that is led to the slaughter, and like a sheep that before its shearers is silent, so he opened not his mouth. Audio: Click to hear the MP3 of Silent Innocence.